Unique baby girls clothing from newborn to girls size 8 made in the USA by Giggle Moon Baby. Whats not to love? 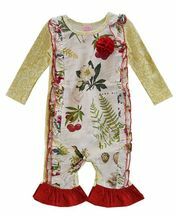 One of our favorite childrens clothing designers and sweetest collections too. Created to look one way, girly! When looking for cute, comfortable, and coordinating sister outfit for even the youngest of girls, I definitely turn to Giggle Moon! Ever since my daughter was a baby, we have chosen the brand for everything from special occasions to school days. The styles from every collection are nothing short of girly, with a plethora of ruffles, rosettes, and lace! The fact that every collection allows for me to coordinate every one of my little ladies is incredibly stunning. Each piece of a certain collection is similar in pattern and color, but allows for girls with different personalities to dress as individually as they are. When my daughters were babies, I absolutely loved their baby rompers. They embodied every aspect of the youthful style while considering a babies needs for mobility and comfort. I absolutely adore the simple romper designs with the varieties of darling lace, button, and rosette accents. The baby rompers had a way of allowing my girls to look chic and stylish for every occasion while they were still able to be comfortable and content. The ruffles at the ankles looked so feminine and fresh as well, and they had them every season! 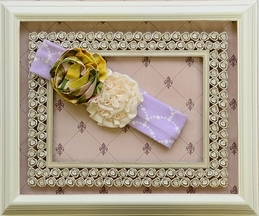 The soft, stretchable headbands were a favorite when my princesses were incredibly young as well. 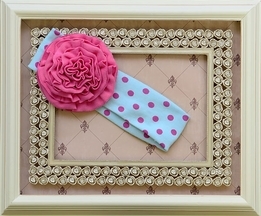 The headbands matched so well with every outfit of the coordinating collection, and the admirably soft headbands were some of the best my babies ever wore. For the bubbliest girls, the party dresses and tutu swing sets are the perfect choice! The flowing layers of tulle, ruffled bodices, and full flowing skirts allow my daughter to flaunt her most feminine side! She loves to pair the most feminine dresses with the cute head wraps that often bloom with large fabric rosettes and beautiful lace and beaded accents. Legging sets are definitely a huge hit with my girls. The amount of bright, vivid colors allow for each one of them to find a set that best suits their unique styles. 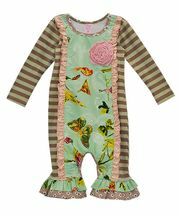 The variety of vivacious yellows, vibrant purples, cheerful pinks, calming blues, and glowing greens allow for each and every girl to express herself with incredibly cute clothing. My daughters love the leggings with ruffles at the hems. Their youthful look is simply darling, and they adore looking as well-kept as possible even when they are just playing in the yard. As I mentioned before we love the ruffled trim at the bottom of the leggings. They look so glamorously girlish! Giggle Moons classic swing sets are always at the top of my list when I am looking for new clothes for my lovelies. No matter what collection or season, the swing set is a staple in my girls closet. I love the tunic styles of the tops and the fresh accents that bedeck the pieces in every collection. Whether it is sleeveless for summer or long sleeved for winter, the swing set never fails to look incredibly darling on every girl. I love the shorties paired with flowy tunics during the spring and summer months. They look just dashing! My girls love to wear swing sets to their friends birthday parties and family get-togethers because they are so comfortable yet so fashion forward. They not only create clothes that are easy to play in and comfortable to wear. Their special occasion and party dresses are incredibly convertible and can be dressed up or down to conveniently add more variety to her wardrobe. The party dresses from every collection are to die for, and have everything a little fashionista needs to strut her stuff at any event. 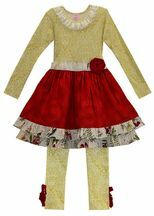 Tiered skirts full of beautiful and vibrant patterns are a frequent motif in Giggle Moons brand. Prints of birds, flowers, elephants, filigree, modern and classy styles with bib-style accents trimmed with ruffles are often apparent on bodices of soft, comfortable knit fabric in coordinating colors. The classic handkerchief hem dress from the brand is one of my absolute favorites. No matter the collection, the handkerchief dress is definitely on my list! I love how sweet this dress looks when paired with leggings or worn alone. Many of these dresses often include a beautiful ruffled trim along the hemline of varying lengths. The skirts look very full and flowy. My girls love to twirl in them and watch the skirt rise and fall around them as they do so. This style of dress is perfect for casual parties, school events, and even family parties. I continually appreciate how the brand takes this incredibly simple style and makes it really stand out and shine simply by adding a few unique and chic adornments. I especially love when the skirt and bodice are in differing patterns. I find that style incredibly darling! 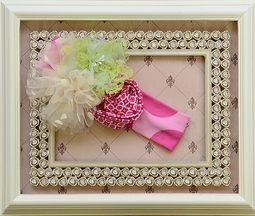 Little girls will love to pair their favorite Giggle Moon styles with fun accessories and cute shoes. Many styles can easily be worn with mary-janes, ballet flats, and sandals. 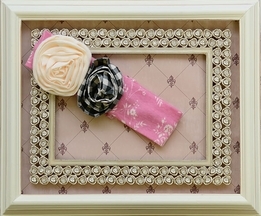 My girls love headbands and head wraps; they are especially mesmerized by the stunning jeweled centers of fabric rosettes. Giggle Moon is definitely one of my favorite brands for my little girls. 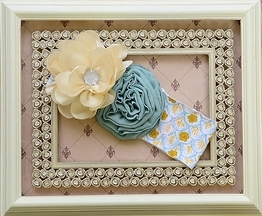 Not only do their styles look absolutely adorable for every occasion, but they are incredibly versatile and elegant. 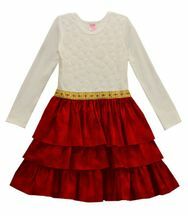 My girls will sometimes pair their leggings with solid knit or denim skirts and even coordinating sundresses or tunics. Their headbands and head wraps are being worn with their other outfits. The fact that the brand is made in the United States makes me happy that the brand is so close to home. When my girls and I are searching for outfits for any occasion, I will certainly turn to Giggle Moon for styles that are unique, girly, and loved by both moms and daughters.